Students from Years 8 and 9 recently took part in the first stage of a national mock trial competition. 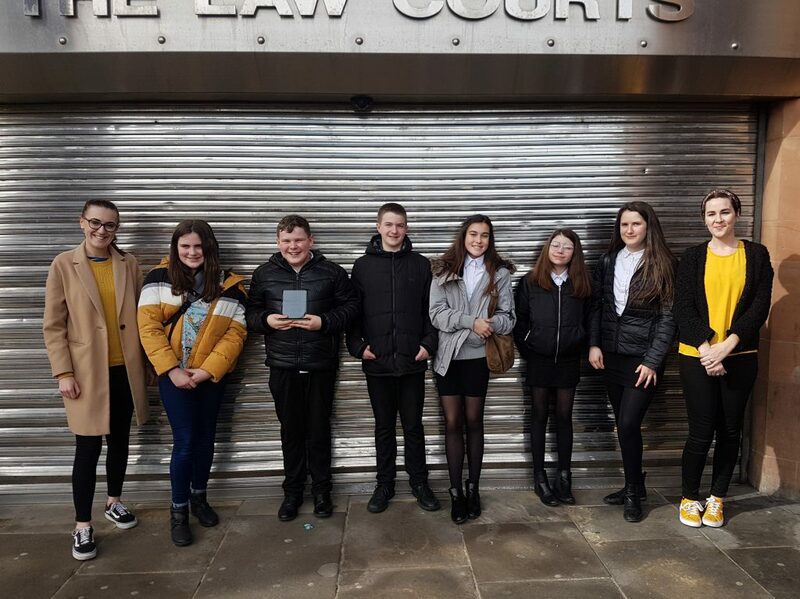 Held at Newcastle Law Courts our students competed against 11 local schools taking on various roles in a trial and trying a case against another school with the assistance of magistrates, legal advisers and other legal staff. They performed to the highest standard and judged the best school on the day. We are incredibly proud of the young people involved, as they behaved in an exemplary manner and were really enthusiastic at every point of the long six hour day. Our students will now progress to the regional heats which will be held in May. We wish them well in the next round of the competition.